Between New York Toy Fair and the Festival International Des Jeux in Cannes, France, there have been a ton of exciting announcements about board games that will be released in 2017. The Board Game Geek team was on hand at FIJ where they got to check out Batman: The Boardgame. If you’re going to Gen Con 2017, you should be able to demo it there. The team behind The Grizzled is working on a standalone game in the Grizzled setting. The only real information that we know about the game is that is supposed to be campaign-style. Monster Slaughter was also shown off at FIJ, a game where the players are monsters attempting to kill teens. At the New York Toy Fair, publisher Thames & Kosmos revealed that they will be publishing 10 new games in 2017. 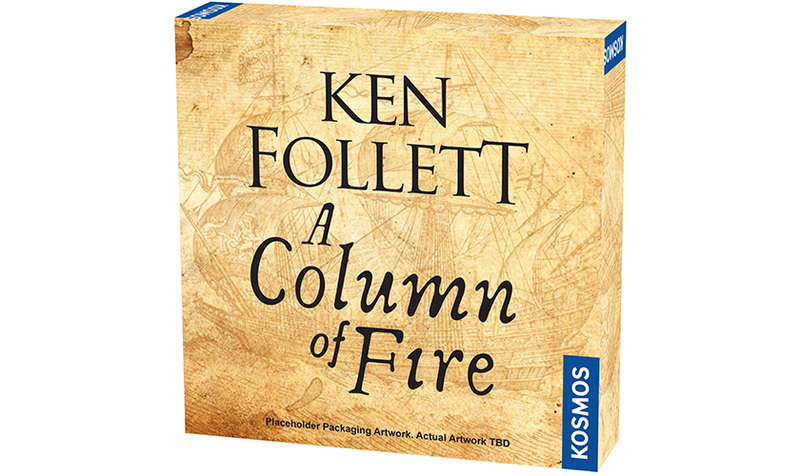 Thames & Kosmos will be releasing A Column of Fire board game, based on the Ken Follett novel. The game is set in Europe during the reign of Elizabeth I. Catholics and Protestants are vying for power and influence in France, England, Spain and the Netherlands. The game will pit those who believe in tolerance against tyrants who would impose their ideas on everyone else. A Column of Fire is for 2-4 players and will cost $39.95. No word yet on how long the game takes to play. 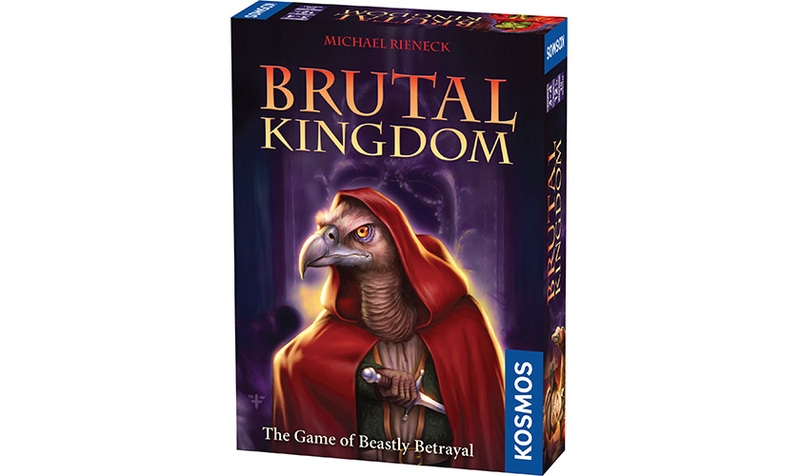 Another political game from Thames & Kosmos is Brutal Kingdom. The players are trying to obtain the most influence in all three spheres: royal, clerical, and mystical. Everyone plays as animals trying to claw their way to power. It is for 3-4 players, takes about 30 minutes, and will cost $14.95. 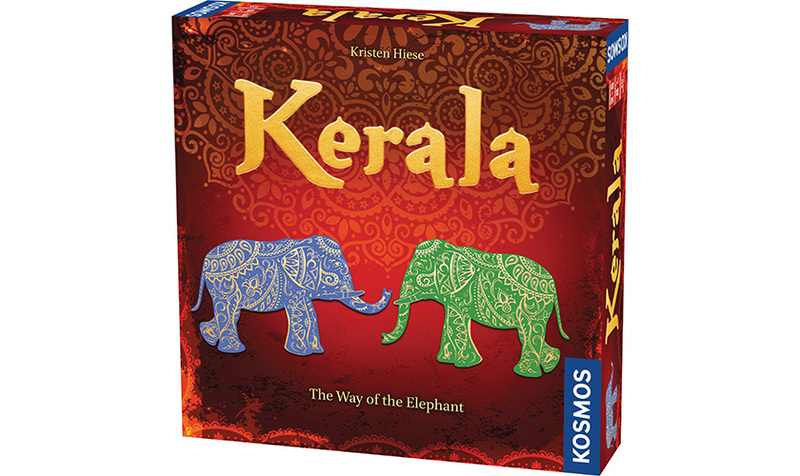 Kerala, is a tile-laying game where players are competing to fashion the most elegant elephant platform. The goal is to have at least one tile of each color, will all of the matching colors contiguously placed. Kerala is for 2-5 players, takes about 30 minutes, and will cost $39.95. 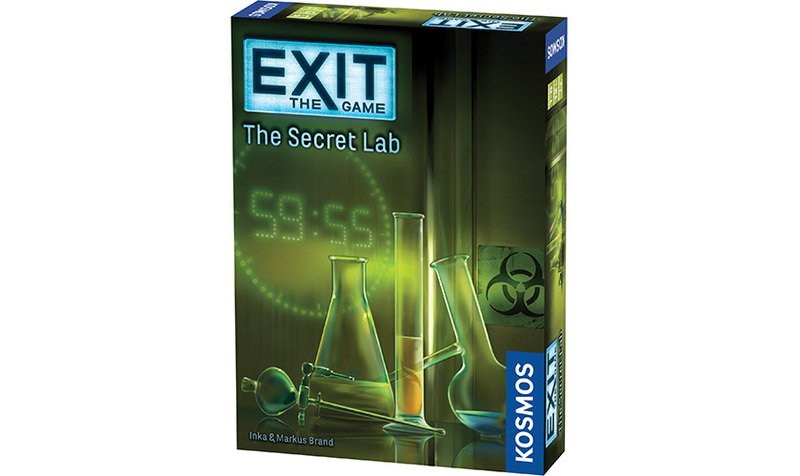 Thames & Kosmos will also be releasing a series of escape the room games. Their Exit series will be three different games, each set in a different location: The Secret Lab, The Abandoned Cabin, and The Pharoh’s Tomb. The games will all retail for $14.95 each, are for 1-6 players, and take about 1-2 hours to play. 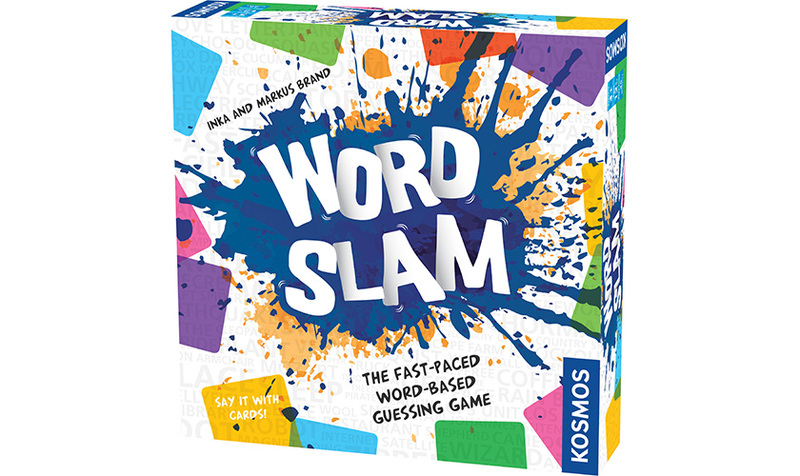 Thames & Kosmos will also be releasing a twist on the word guessing game genre called Word Slam. There are two teams, each of which has a captain called a “storyteller.” The storytellers both have the same word, and they are both trying to get their teams to guess that word. But they can’t speak or act. They have 105 cards to use as clues, each of which has one word on it. The game is for three or more players, takes 45 minutes, and will cost $39.95. 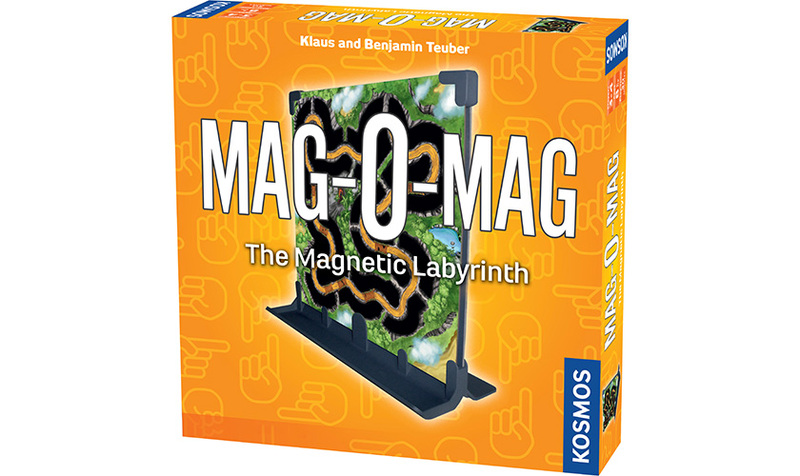 The company will also be releasing a magnetic upright game called Mag-o-Matic. One side of the board is controlling the magnet, while the other side is trying to verbally guide the person controlling the magnet. There are three different game modes, a racing game, a golf game, and a treasure hunt. It is for 3-4 players, takes 30 minutes to play, and will cost $39.95. Thames & Kosmos are also releasing a new line of children’s games. 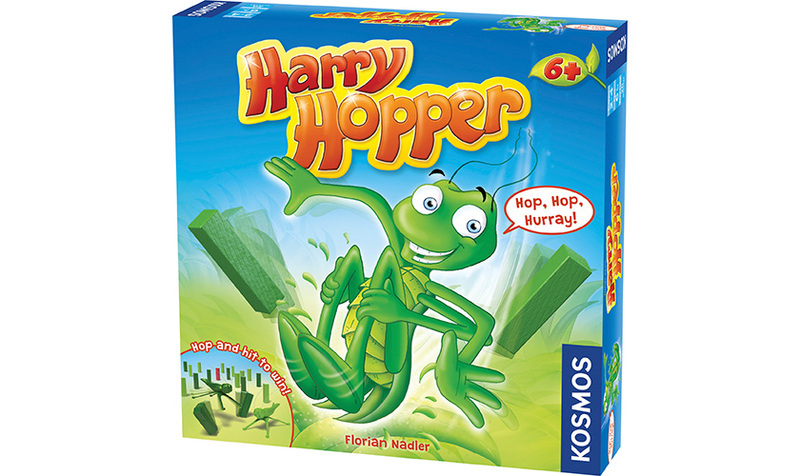 Harry Hopper is a dexterity game where two teams of grasshoppers are trying to knock over all their blades of grass. It is for 2-4 players, takes 20 minutes to play, and will cost $24.95. 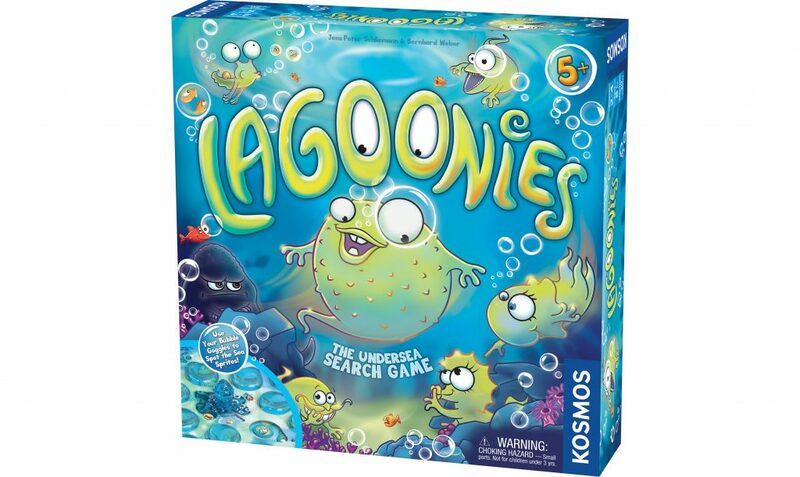 Lagoonies is a game where the players are trying to pick out their sea sprite friends from look-a-like fish. Everything has gotten all stirred up after the octopus has created a whirlpool current. You have to try to find them all before the octopus swirls the water again. The game takes 20 minutes to play, is for 2-4 people, and will cost $39.95. Monster Trap is set in a house full of fun monsters. But your grandmother is awake, and she’s scared of the monsters. So the players must catch and hide all of the monsters before she sees them. The person who catches the most, wins! 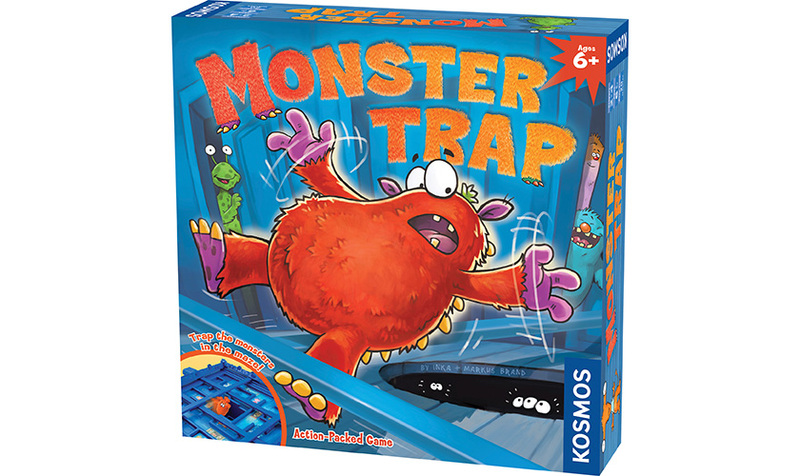 Monster Trap is for 2-4 players, takes about 20 minutes to play, and will cost $34.95. 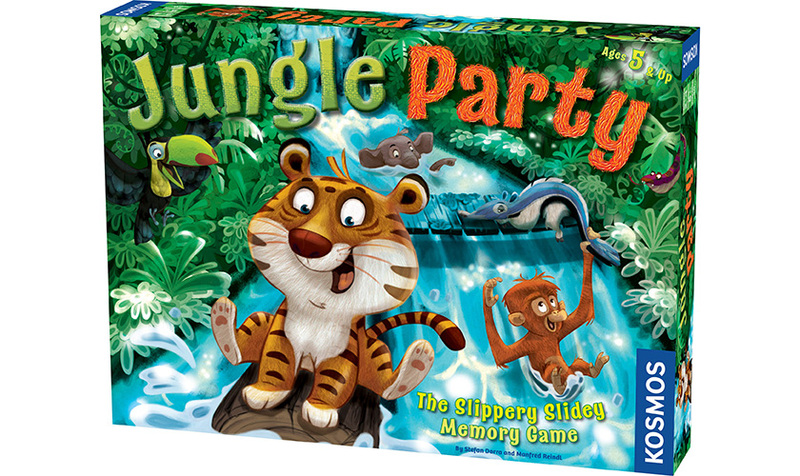 Jungle Party is a memory game where you have to remember where all of the animals are hiding. You are all trying to reach the toad king, but in order to do that, you’ll need to remember which animals are hiding in the river and which are under the bridges. Jungle Party is for 2-4 players, takes 20 minutes to play, and will cost $34.95. Mayfair Games also announced a ton of games that they will be releasing in 2017. 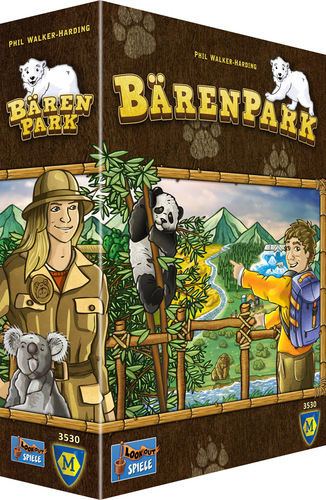 Barenpark is all about building the best bear park. The tile-laying game ends as soon as one player has finished expanding their park, and the person with the most points wins! It’s for 2-4 players and takes 30-45 minutes to play. Mayfair will also be releasing Food Chain, a card game where the actions you can take will depend on where the animal is in their predator/prey menu chain. Players will simultaneously reveal a card from their hand and place it in the center and then claim a card. At the end of the game, players will score points based on combos using either animal type, number of animals, or card color. The card game is for 3-6 players and takes about 30 minutes to play. They will also be publishing Party Bites, a push your luck game that revolves around players competing for snacks and drinks at a party. The game takes about 10-15 minutes to play. Mayfair is also publishing Run Bunny Run, an all vs. one card placement game. One player takes on the role of the rabbit trying to escape, while the other players control the wolves. It is for 2-5 players and takes 20-50 minutes to play.